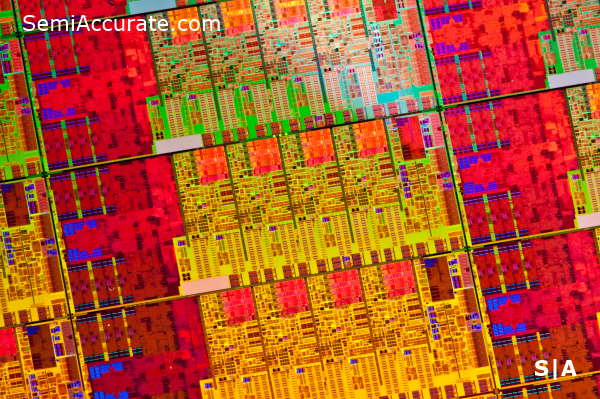 Today we bring you our testing of Intel’s 4th Generation Core Processors, codenamed “Haswell”. The chip that Intel sampled us with was the Core i7-4770K. This is the highest performance SKU that Intel offers to desktop users. I’m sure many of you have already waded your way through most of the Haswell reviews that went public early on Saturday morning. Alas due to some conflicting timelines our review is coming a bit late. Hopefully you’ll be able to look past that as we work our way through the data. The i7-4770K is a quad-core, hyper-threading enabled chip, that has a base clock of 3.5 Ghz and a maximum turbo clock of 3.9 Ghz. It also has 8 MB of L3 cache, an 84 Watt TDP, Intel’s GT2 or HD 4600 graphics, and fits into the new LGA-1150 socket. In addition it supports AVX, Quicksync, Virtualization, PCI-E 3.0, and Intel’s Wireless Display technology. In terms of raw specifications this chip is a power house, but for enthusiasts it’s handicapped by a few key draw backs. First off the i7-4770K has a nine percent higher TDP than the chip it replaces, the i7-3770K. It also uses a brand new socket that is incompatible with all of Intel’s older products. Outside of the HD 4600 graphics section of the chip there’s nothing that’s significantly more powerful than there was on the i7-3770K. More to the point though, if you are considering buying an i7-4770K chances are that you will be using a discrete graphics card with it which renders the power of the GT2 essentially moot. Plus if you actually cared about getting the highest performance Haswell chip you’d be forced to purchase an OEM system with Intel i7-4770R processor which has Intel’s Iris Pro graphics and a 128 MB eDRAM L4 cache. What I’m getting at here is that the i7-4770 doesn’t offer anything to enthusiasts that the i7-3770K didn’t already. The real benefits and improvements that the Haswell architecture has to offer will be seen in the mobile market, not on the desktop. 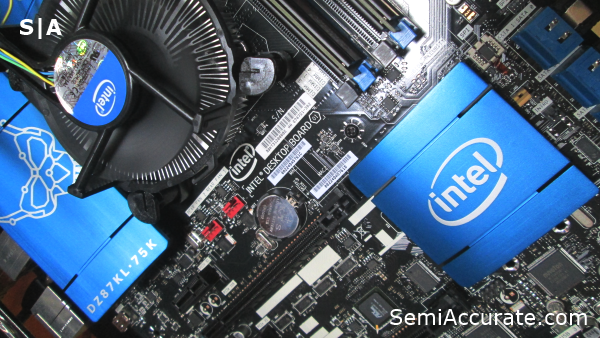 We’ve updated our testing suite significantly since we reviewed the A10-5800K last year. We’ll be looking at 25 tests across 19 different benchmarks and we’ve collected power consumption data to boot. Additionally we’re making all of the data that we collected for this article available to our readers so that you can sift through the raw numbers if you’d like. Most if not all of the benchmarks we’ll be using to compare these chips can be placed into three distinct categories: CPU benchmarks, GPU benchmarks, and OpenCL benchmarks. CPU benchmarks are tests that primarily gauge the performance potential of the CPU cores on these chips. Some of these CPU tests like wPrime are multi-threaded, while others are single threaded tests like the SunSpider benchmark. Our GPU benchmarks are pretty standard in the sense that we’ll be looking first at frame rates over time and then at average frames over the course of the 60 second benchmark. At the present time we lack the hardware capability to implement a frame-latency focused testing scheme similar to what PCPerspective and the Tech Report are using these days. But with this limitation in mind we’ve decided to come at this from a different angle. Rather than picking arbitrary quality and resolutions settings like many do, we’ve opted to spend a significant amount of time finding what we subjectively consider to be playable quality settings on Intel’s HD 4000 graphics solution. We will be testing all of the chips in this article with those quality settings so that our graphs will represent apples to apples comparisons at frame rates that are playable on the slowest chip in the given graphics benchmark. You can find those exact setting inside of the testing data we mentioned earlier. We also recently made a foray into OpenCL benchmarking and learned quite a bit from that experience. As such we’ve decide to add a few of those benchmarks to our suite like ratGPU and LuxMark. Our test setup uses a 60 GB OCZ Vertex 2 SSD as the primary disk with a 750 GB hard-drive from Hitachi to hold all of our space consuming video games. We’re also using stock CPU coolers as well as a standard five fan ATX mid-tower case. Our power supply is a 550 Watt Antec Basiq unit that is 80 plus certified and our RAM of choice is an 8 GB DDR3 1866Mhz kit from AMD. [Editor’s note: This is the memory we have available. We would prefer to test with faster memory. We hope our budget allows such at a future date.] As far as motherboards are concerned we will be using MSI’s FM2-A85XA-G65 for our AMD platform and Intel’s own motherboards the DZ77GA-70K and the DZ87KL-75K. The BIOS settings on all of our platforms have been configured for maximum energy efficiency, as opposed to maximum performance. With all of that out of the way let’s take a look at the individual benchmarks in our testing suite. For our 7-zip test we used the built-in benchmark which returns results in MIPS. Our x246 encoding benchmark comes to us courtesy of the folks at Tech ARP. The Blender test we’re using is from EofW. Microsoft’s HTML 5 benchmarks have proven themselves to be a useful indicator of both browser and platform performance. In this review we’ll be using both the Fishbowl test and the Chalkboard benchmark in Chrome. Cinebench R11.5 and wPrime results are also included in our testing. Right off the bat these numbers might seem a bit disappointing, but it’s important to keep mind that Haswell isn’t clocked any higher than the Ivy Bridge, its performance gains are thanks to IPC improvements and longer turbo states. Haswell tends to have the biggest advantage over Ivy Bridge in OpenCL benchmarks where it can put the compute power of its GT2 graphics to work. Despite quite a few hours of fiddling with power profiles and driver sets Microsoft’s Chalkboard benchmark and LuxMark perform worse on our Haswell sample than they did on Ivy Bridge, which is odd. Hopefully Intel will release an updated driver set that exposes the full power of Haswell in our LuxMark 2.0 test. It’s worth noting that the i7-4770K offers basically double the performance of AMD’s A10-5800K, a chip that costs a bit less than half the price. So from that perspective the i7-4770K isn’t really a performance per dollar leader. Granted, I doubt that Intel intended for it to fill that role. There just isn’t a whole lot that i7-4770K offers that the i7-3770K didn’t. Performance is equal or marginally better, the $300 price tag is about the same. The only place where this chip puts any distance between itself and its predecessor is in OpenCL applications. How does Intel’s HD 4600 graphics fare? This brings us to the real star of the show, GT2. With 20 improved execution units clocked at 1250 Mhz Intel’s HD 4600 graphics should be able to easily outperform the old HD 4000. 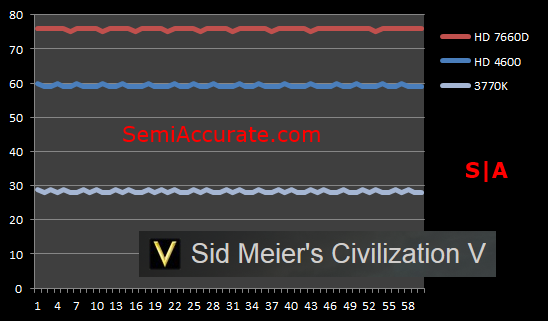 In Civ V the HD 4600 is head and shoulders above the HD 4000. 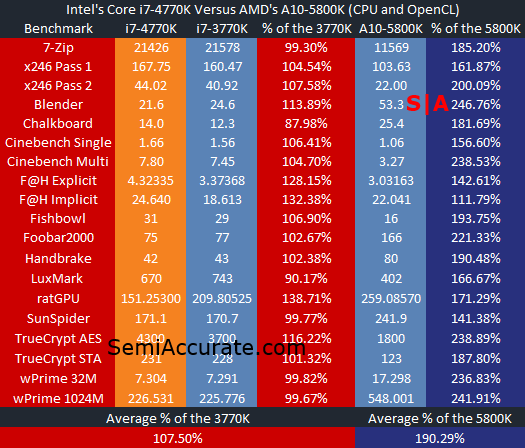 With almost double the frame of the i7-3770K the i7-4770K still isn’t able to edge out AMD’s A10 APU. 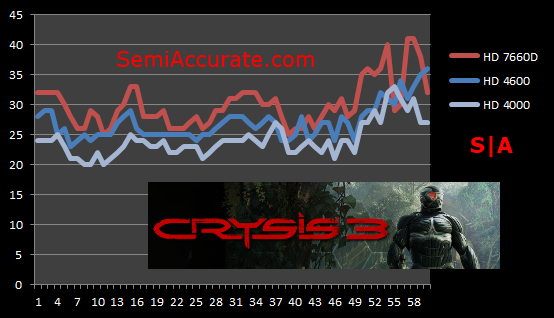 In Crysis the gains that the HD 4600 bring are not as impressive, but they are still an improvement over the HD 4000. 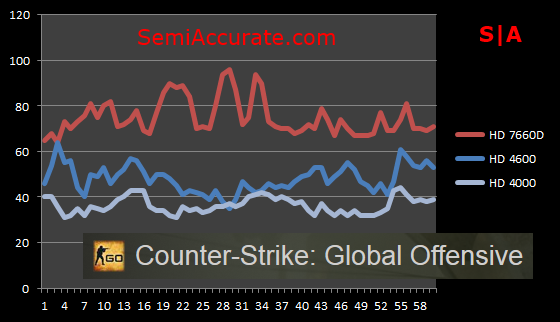 In CS:GO Haswell is closer to Ivy Bridge than it is to Trinity, but there’s still a considerable performance uplift. 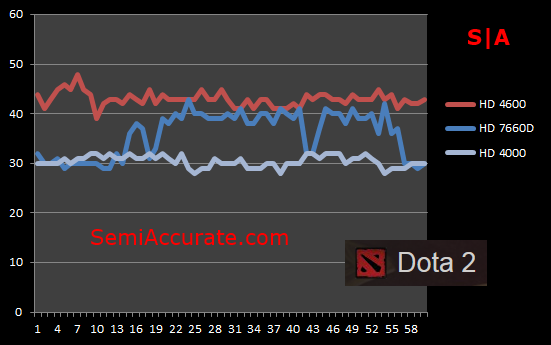 In DOTA 2 the HD 4600 actually manages to take the lead from AMD’s A10 APU. This is an impressive considering the A10’s dominance up to this point. 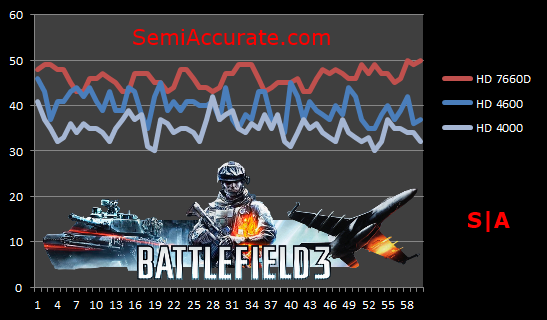 In Battlefield 3 we see a similar outcome to our Crysis 3 benchmark. The HD 4600 is certainly faster, but it’s not enough to take the crown from AMD’s APU. Looking at the averages here it’s clear that Haswell’s GT2 represents a significant performance improvement over Intel’s old HD 4000. A 40 percent increase on the same process node is a pretty big jump. But at the same time it’s clear that, at-least on the desktop, AMD’s APUs still have the lead in raw graphics performance. Moving on to power efficiency the i7-4770K is more power efficient than the i7-3770K it replaces in all three of our scenarios, despite having a higher rated TDP. Intel’s integrated voltage regulation is no doubt at work here, helping to keep Haswell’s power consumption under control. In the past Intel has liked to talk about its HD graphics series as one of the most power efficient solutions on the market. But with Haswell they’ve taken it to a whole new level as the i7-4770K draws half the power of AMD’s A10 for 85 percent of the total gaming performance. This evident increase in power efficiency should help Intel’s competitiveness in the tablet and convertible markets significantly. Can Haswell Save Windows 8? 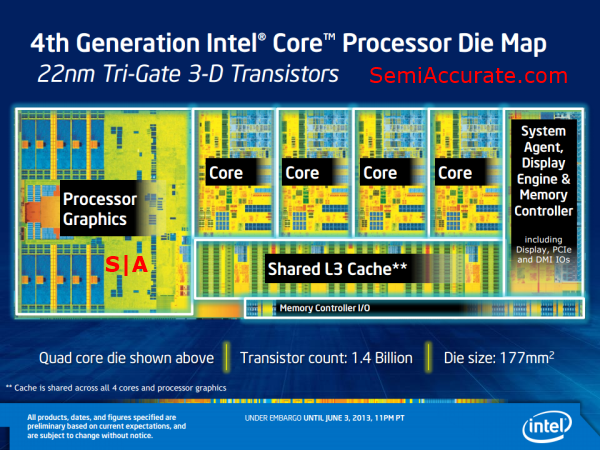 At the end of the day, Haswell is a very similar generational advance to Ivy Bridge. Both chips brought much higher performance graphics solutions along with mildly improved CPU cores, all while decreasing power consumption significantly. 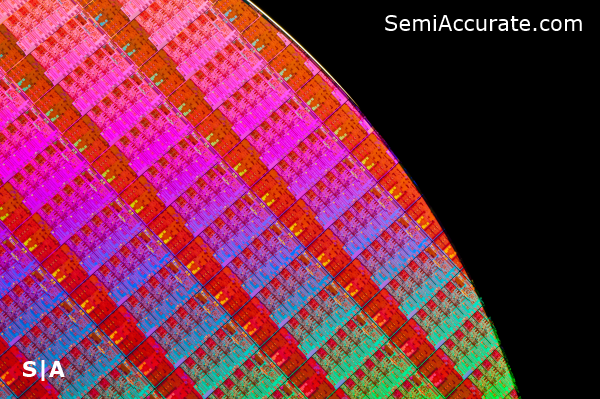 The pressure that ARM-based competitors and consumer demand has put upon Intel to get its power consumption numbers under control is very evident in what we’ve seen from Intel in the last two generations. CPU performance has reached a “good-enough” point, while GPUs are still not there yet, and small form-factor computing is forcing Intel to reign in power consumption to build higher efficiency chips.